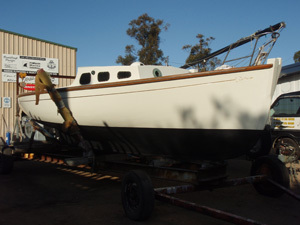 Blond Bay is a 21' Lacco built many years ago from NZ kauri. 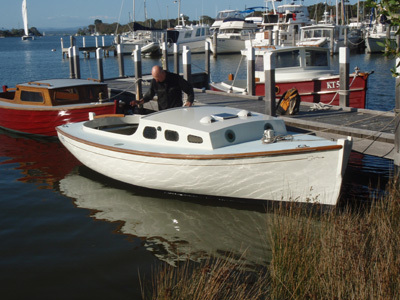 Typical of the small Lacco fishing boat design that plied both Port Philip and Westernport chasing snapper. 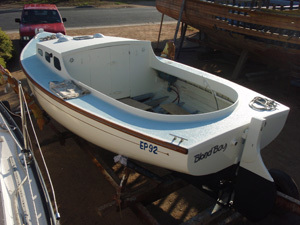 She is powered by an ancient Yansmar YSM8 and continues to give pleasure to her owner who is the same vintage as the motor. Moored behind Blond Bay is an 18' Pompei day launch which used to be a hire boat from Mordialloc Creek.